Fans of “The Leftovers,” listen up! Now that the show has been renewed for a second season, maybe some of the questions raised in Season 1 will be answered. Set in a small New York suburb, “The Leftovers” focuses on the residents of the fictional town of Mapleton three years after 140 million inexplicably disappeared without a trace. Those left on Earth must then deal with feelings of fear, grief, salvation, hope, cult-fanaticism and more. The show stars Justin Theroux, Amy Brenneman, Christopher Eccleston and Liv Tyler. 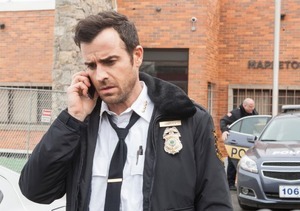 “The Leftovers” airs Sundays at on HBO. The Season 1 finale will air September 7.